Looking for tranquility AND luxury? 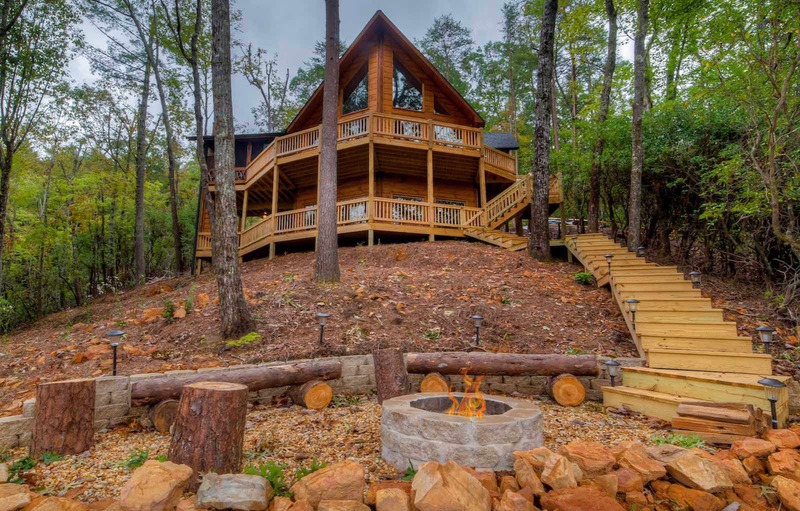 This beautiful cabin is the relaxing getaway to soak in the mountains you've been searching for! 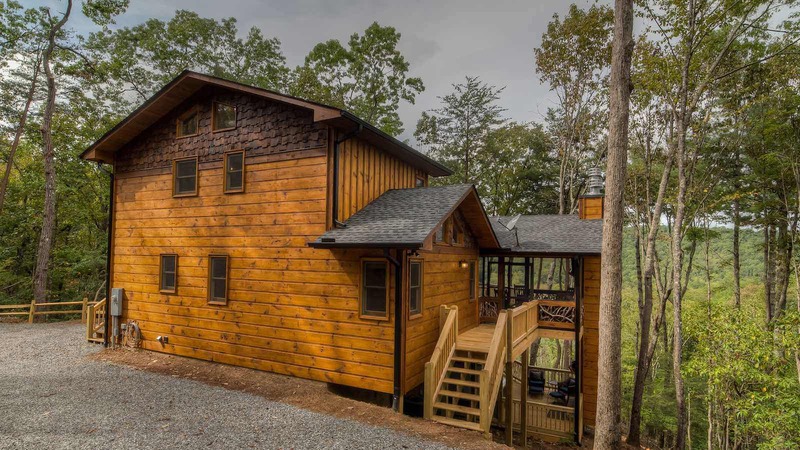 Tranquility is a gorgeous new cabin located mountainside in the Aska Adventure Area, only 15 minutes from Downtown Blue Ridge. 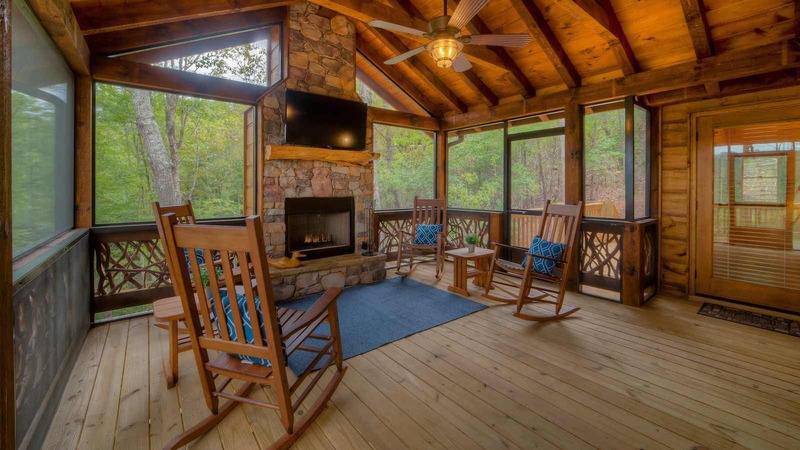 The main level wrap around deck welcomes you to a front row seat of the mountains, complete with gas grill, outdoor seating, plus a screened in outdoor wood burning fireplace! The outdoor fireplace has a TV toppped log mantel and rocking chairs, perfect for sipping cider while enjoying a crackling fire. 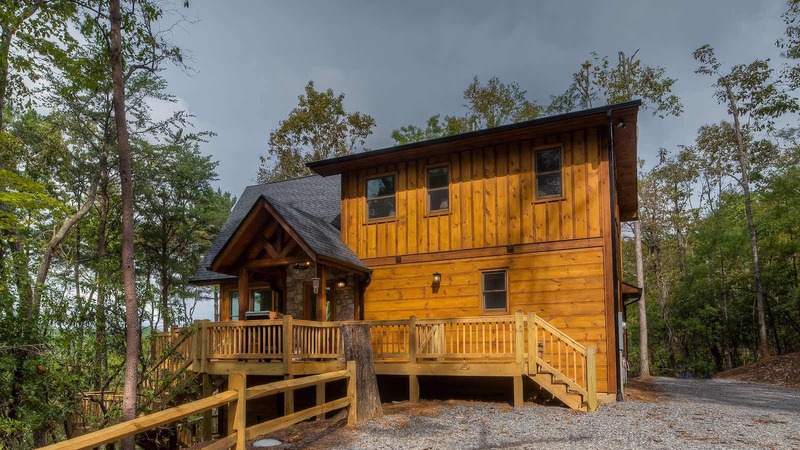 Inside the main level, you'll find a wall of glass facing the view, along with a stone gas log fireplace with a TV topped log mantel, cozy sofa seating, dining table and the stunning kitchen! The kitchen also offers seating for at its bar, and has granite countertops and stainless steel appliances. This level also has a handy half bath near the staircase. The main level bedroom is fit for royalty, with its King size bed and TV, large posh bathroom with double vanites, custom tile shower, and garden tub. Up the stairs, you'll find the upper level bedrooms and shared bathroom. The bedroom to the left has a King size bed and TV. The bedroom to the right has a Queen size bed and TV. These two lovely bedrooms will share a bathroom with a single vanity and tile shower/tub combo. This level also has a small loft with seating for lounging or reading. 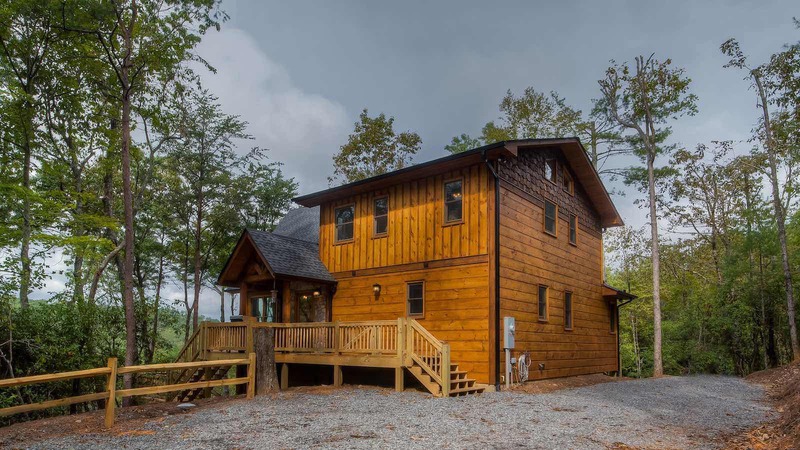 The lower level offers a second gas log indoor fireplace with a TV topped mantel, a wet bar, fourth bedroom, bathroom, and more! The gameroom will boast a wet bar ideal for entertaining guests with wine and tapas on lazy afternoons, plus a foosball table for added fun! Just around the corner is the fourth bedroom, which has a King size bed and TV. This levels bathroom is a tile shower/tub combo with a single vanity. Ready to soak your cares away? Just outside the gameroom is the hot tub and second outdoor woodburning fireplace! You can enjoy the view for hours while relaxing in the bubbles and enjoying the fireplace. 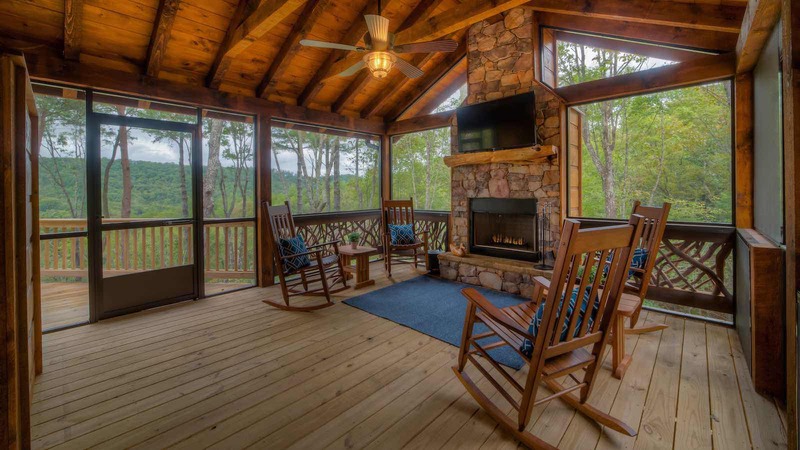 This deck also has a walk way down to the outdoor firepit, perfect for toasting marshmellows, enjoying friends and family, stargazing, and making new memories fireside. Tranquility is a perfect getaway from the hustle and bustle to relax, recharge, and reconnect - getaway and get together at Tranquility!